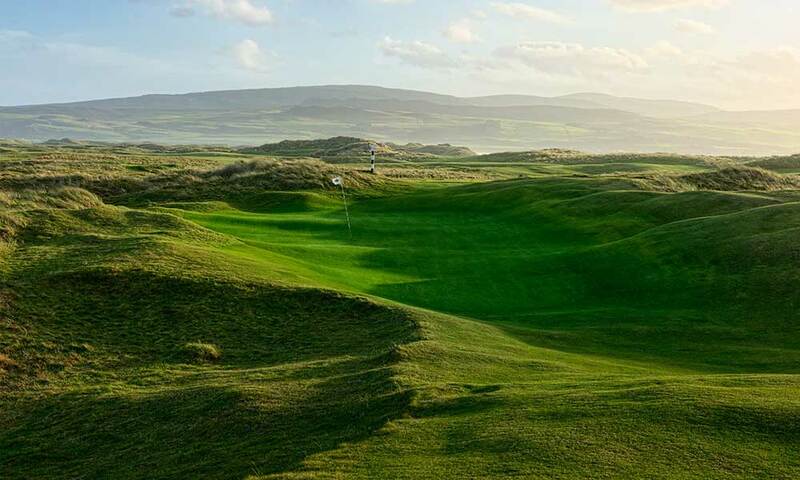 Machrihanish has become well known in the last few years mainly because of its exceptional first hole which requires the round-s opening shot to carry the Atlantic. It is a tough start, particularly into a breeze. The course is set in wonderful dunes in the small village of Machrihanish, which is situated on the western side of the remote Kintyre Peninsula; this is where the sky is big, the sunsets are dramatic and the air has been warmed by the Gulf Stream and its relative inaccessibility has saved it from becoming more commercialised. It is a joy to play and, most of the time, very quiet, allowing the visitor to relish the ups and downs of the fairways and the tussle with undulating greens. 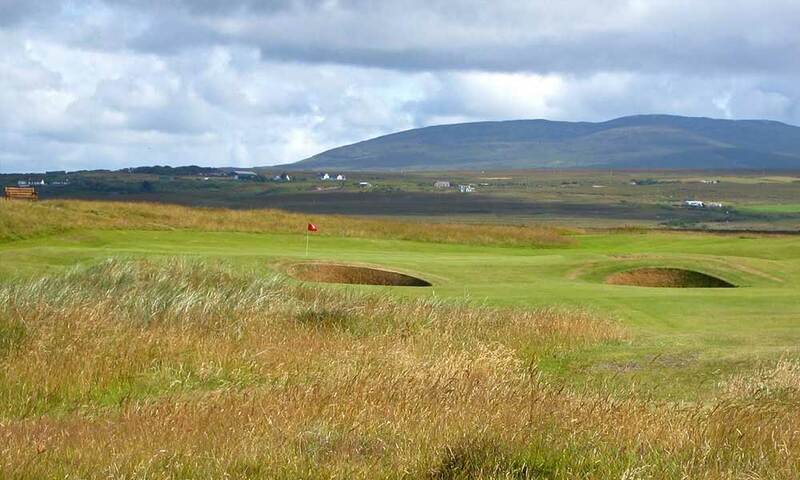 There are also arresting views across to the islands of Jura and Islay, which provide a delightful backdrop on an idyllic summer-s day with the firm Machrihanish turf underfoot, the majesty of the dunes, and wheeling seabirds providing the only sound.